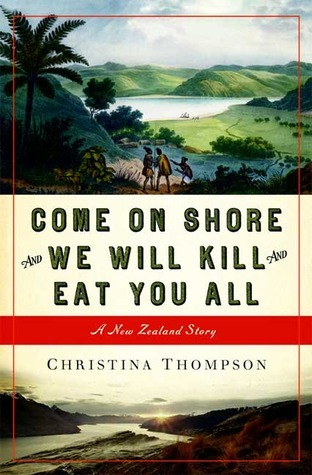 I read this shortly after it came out, and I’ve been going nuts trying to remember the title. Thank goodness for Google’s search engine! 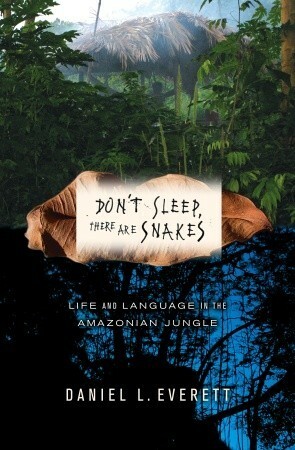 Don’t Sleep, There are Snakes is an amazing memoir that challenges assumptions under which most first-worlders have lived for a very long time. Everett went to Brazil with his wife;they were Protestant missionaries, sent by their church to convert the Pirahas, an indigenous people who live deep inside the Amazon jungle, to Christ. They took a few tools and trinkets with them, which have been useful to missionaries–think of them as spiritual bribes–for generations. They traveled under tremendous physical hardship, experiencing terrible illness and threatened by deadly snakes and other jungle life, risking their necks for their cause. Furthermore, they were tasked with deciphering the Piraha language so that the New Testament could be translated for the salvation of these Christless savages. First of all, the Pirahas didn’t want their stinking trinkets. Even items that Westerners regard as essential, such as knives and cooking pots, were only of temporary interest. When presented with these goodies, they would enjoy them, then abandon them. Because stuff doesn’t matter to the Pirahas, and when you’re a nomadic people, you need to travel light. At first, Everett patiently tried to teach them to hang onto things so they’d have them when they needed them. He watched them go to a tremendous amount of effort to replicate a process that the knife, the cook pot could have shortened by hours, not to mention a reduced physical effort. But over the course of time, they let him know that it wasn’t that they didn’t understand him; they just didn’t agree. And the greatest barrier to the conversion of the Pirahas to Christianity is this: they were already happy. Eventually, Everett found himself questioning his own prayers. Why was he asking the Almighty to help him change these people, to obliterate their successful lifestyle–at least by the basic standard of personal fulfillment, as opposed to who has the greater technology–in order to become grasping materialists trying to keep up with the Joneses? Ultimately, he came to a startling conclusion: the Pirahas were absolutely correct. His God was a myth. All the Pirahas needed was what they already had, and to be left alone, along with the environment in which they flourished. And this conclusion ultimately cost him his marriage, but he could not, would not retreat into the opiate of Christianity. Once he had a clue, he couldn’t lose it. Everett also develops a new understanding of how language is learned. My daughter, who is a passionate linguist herself, tells me that his discovery is flawed and has been discredited. I would not know. It sure sounded interesting to me. The one thing I can guarantee is that if you have no religious drum to pound yourself, you’ll find the transformation that occurs here compelling. Not recommended reading for serious Christians.